When I read letters from those preparing for Confirmation (the majority of whom are in eighth grade), I always look at what they say about their sponsors. It is usually the most unique part of their letters. Lately these letters include a lot of information about shared meals with sponsors. I am not surprised. In our culture, we seem to downplay this idea of eating together. We are famous for drive-through lines and food we can eat with our fingers, preferably while we multi-task at TV watching, media communication or driving a car. I have noticed that car ads seem to say little about how a car works and more about the amenities inside … free Wi-Fi, DVD players, and so on. When a young person stumbles upon a meal shared with someone they really like, something rises up in the very DNA. These meals reveal to the Confirmation candidates the power of being with someone who cares about them and with whom they are sharing a journey. This is why I believe we are ready for a resurgence of the Catholic Relief Services Rice Bowl program. It’s about sharing a meal that means a lot and much, much more. This Rice Bowl initiative originated in my backyard back in Pennsylvania in the mid-1970s. 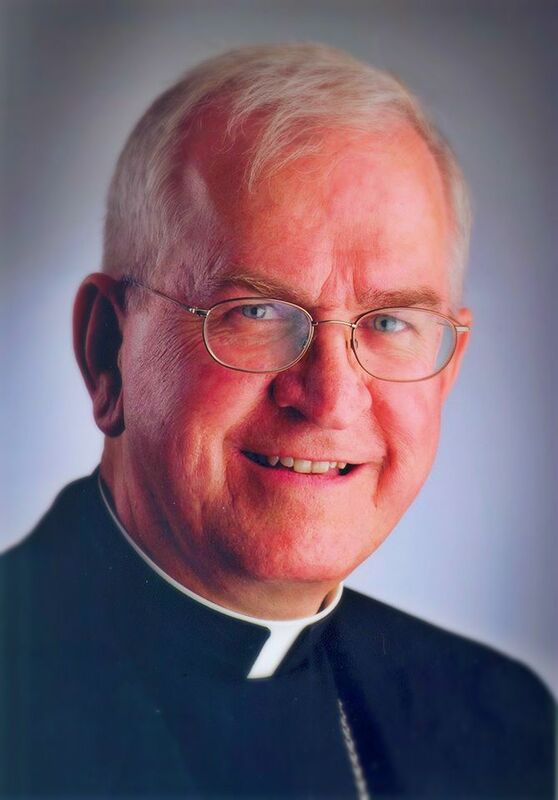 A priest of the Diocese of Allentown, Msgr. Bob Coll, then in charge of the Propagation of the Faith and with ties to Catholic Relief Services, came up with this very visible way to help Catholics practice the Lenten call to pray, fast and give alms. In the beginning, it was a cardboard dish with instructions on what to do. Now it is a ready-to-put-together box that receives the coins we want to give to those with great needs and that includes a handout with helpful resources, such as a Lenten calendar, meatless meals from around the world and stories about those who are helped. The simple cardboard box can provide your family with a way to share a meal together, observe a Lenten fast, pray and give alms. The idea is so simple. First, it is about sharing family meals, perhaps on Fridays of Lent when we observe the discipline of meatless meals. The meal itself is worth all of our Lenten energy. Young people really enjoy the tradition of sharing a meal, once it is introduced, and we older folk yearn for it too. Keep the meal simple. Canned tuna or bread and soup work very well. (And the Rice Bowl resources include possible meatless meals from around the world.) Pray together before and after the meal. Then there is the calculation. What would I normally have spent on this meal and have now saved with this simple fare? This amount is put in your Rice Bowl and at the end of Lent, passed on through your parish to Catholic Charities. Then there is the adventure of looking into who was helped. Twenty-five percent of the donations are distributed locally to organizations that address the corporal works of mercy, such as St. Vincent de Paul, St. John Center for the homeless and the Cathedral’s soup kitchen. For information about how funds are used internationally by Catholic Relief Services (CRS), click here. Having gone to Africa, the Philippines and Haiti with Catholic Relief Services, I know firsthand of the tremendous good done! Finally, there is assessing the spiritual benefit to your household: a meal shared, a conversation at the table about those more in need, and a prayer that is matched by a donation. In most parishes, free Rice Bowls are available for you and your family to use. If you can’t find any, go to http://www.crsricebowl.org/families for resources for families. Most Rev. Joseph Kurtz is the archbishop of Louisville and president of the USCCB. ← Now is the time for peace!